Your physical health problems can damage your teeth and gums. Ailments from diabetes to ulcers can erode your teeth, cause bad breath, and turn your tongue black. It's important to take some time to make sure you understand these things. We'll probably be the first to realize you have this problem because your back teeth will suffer from erosion as your stomach acid dissolves their enamel. The best way to protect your teeth is to vigorously rinse your teeth with water. Wait a while before brushing your teeth because your toothbrush's enamels can damage your enamel since it's softened by the acid. You'll also want to avoid consuming alcohol, caffeine, and anything acidic – especially two or three hours before bed. These sores in your stomach's lining or small intestine and weaken your stomach's protective coating. The medicine your doctor prescribes can turn your tongue black, but this will go away after you're done with treatment. When your breath smells fishy you need to visit your doctor because this could be a sign of kidney disease – your kidneys no longer being able to filter waste and toxins from your blood. This serious condition can be fatal if it's left untreated. 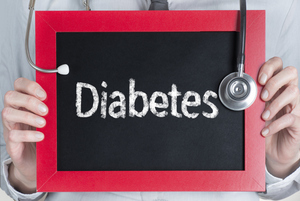 Anyone who suffers from diabetes is more likely to have gum disease, cavities, and suffer from tooth loss. A quarter of Americans suffer from this dangerous condition. The medication doctors prescribe for it has the unwanted side effect of gingival enlargement – a condition that causes your gums to swell up and grow over your teeth. If you have any of these health ailments, you need to tell us. While being vigilant about brushing and flossing at home is important, it's just as important that you have routine appointments with our office. Call and set up your appointment today.